Burnham Beeches Rotary - welcome! Please scroll/swipe through this page to find out more about us. Use the pages linked in the menu, top left to see more details. We organise an Annual Football Festival for local schools at Dropmore Infant School. this year's tournament took place on Saturday 21st April. 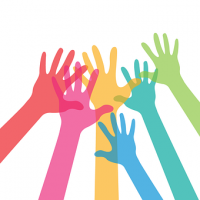 Burnham Beeches Rotary members spend time helping with local schools, youth groups, charities and community groups in the area and they raise funds to support local, national and international charitable causes. We welcome non-members to our busy programme of social events which have helped forge a strong sense of fellowship and goodwill between members, as well as with the local community of Burnham, the Farnhams and surrounding areas. 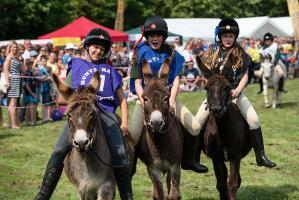 Our main fund-raising events are the Burnham Donkey Derby in May, the Burnham Beeches Run each autumn and a Spring Concert. We work closely with local schools sponsoring academic competitions, providing careers advice, and general support. 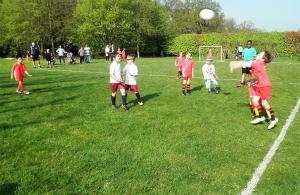 A 5-a-side football tournament is organised by the Club for the local primary schools each year. 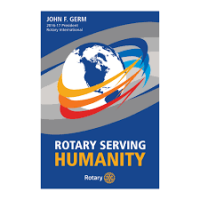 We take part in, sometimes leading, International projects and these have included rebuilding a school in Sri Lanka , a Micro-Credit charity in Malawi, Africa Vision and the Rotary International charity - End Polio Now. Why not come along to one of our meetings to find out more? - you'll be made very welcome - call or email now!